On Edinburgh’s Leith Street a humdrum mix of cars, taxis and double decker buses circle a busy roundabout intersection. But inside that large glass building at Greenside Row, onscreen supercars race through red lights, hit tracks blaring from their radios – and everyone drives on the right. This studio is home to the one of the biggest game franchises in the world: Grand Theft Auto. Its creator, Rockstar North, is the most important technology company in Scotland. The last title it developed, Grand Theft Auto IV, broke global game industry records and grossed more than $500 million in its first week of sales. By August of 2008, a mere four months after the critically acclaimed PS3 and Xbox 360 titles were released, the Top Global Markets Report stated it had sold 6.3 million copies in the US and UK alone. Its 2013 successor, Grand Theft Auto V, is set to open even bigger. But not only is Rockstar North a major commercial powerhouse, led by producer Leslie Benzies with the creative direction of Dan and Sam Houser, the studio has changed the way that people think about games. GTA games explore the influence American popular culture has on us, taking the ultra-violence of 80s film and the soundtracks of a misspent youth and weaving them together in a colourful capitalist open world. What Star Wars did for science fiction films, Grand Theft Auto has done for games. But the company is not only known for Grand Theft Auto. Not content with the media’s outrage about the game’s violence, the studio made Manhunt in 2003 to explore the willingness of its players to execute characters in various voyeuristic ways. Inspired by Stephen King’s The Running Man, the pulp game was subject to heated debate in the mainstream media about whether it was a smart, philosophical approach to the human condition, or something more straightforwardly shocking, and was banned in several countries. Despite this, Manhunt was a success. Rockstar North began life as a small studio in Dundee called DMA Design in 1987. DMA was acquired by Rockstar Games in September 1999, just before the release of Grand Theft Auto 2. 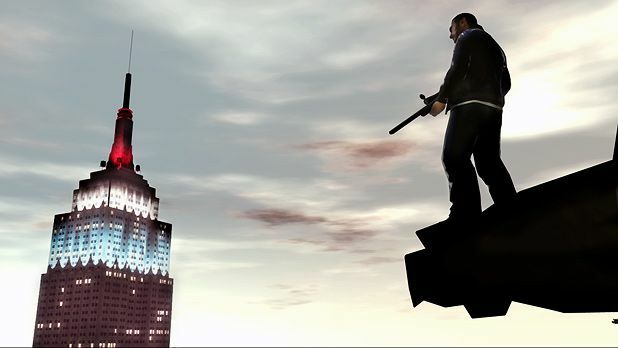 DMA was renamed Rockstar North and relocated to Edinburgh, where it proceeded to make the groundbreaking Grand Theft Auto III, this time a fully 3D game. However, not all of DMA’s talented staff moved to Rockstar North. Former employees of DMA have gone on to start numerous other games companies in Scotland, including Dave Jones’ ill-fated Realtime Worlds. Still, from the ashes of that crisis the Scottish games development scene has burgeoned, giving us Ruffian Games, Denki, and many other mobile games developers. Yet not everyone is aware of Scotland’s status as a games technology powerhouse. A 2010 survey found that only 3% of UK young people knew that top-selling video games such as Grand Theft Auto were developed in the UK. With Dundee’s Abertay University now leading the field educationally with its respected MSc in Computer Games Technology, there are many wishing to see it change.